The former Minnesota State, Mankato football player who made a remarkable recovery after he was gravely injured in a bar fight last May has suffered a seizure. Isaac Kolstad was taken to the emergency room on Friday night where doctors diagnosed him with epilepsy. His wife, Molly Kolstad, wrote on his CaringBridge website that he wasn't injured during the episode and will take medication to control the seizures long term. 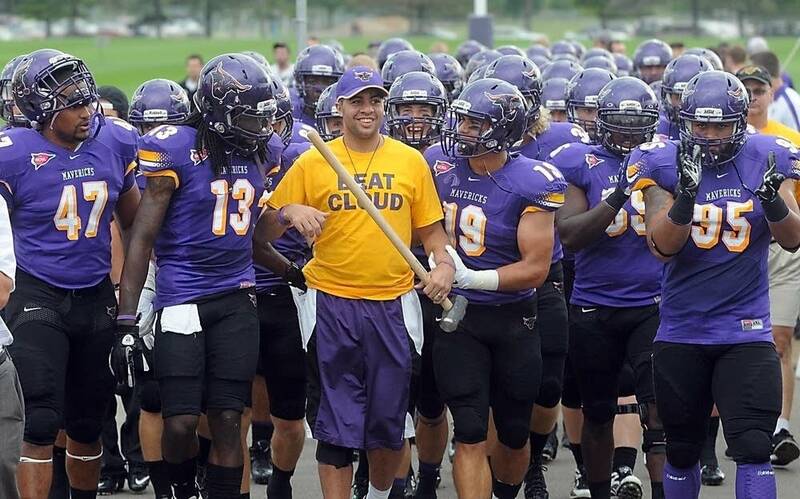 Less than two weeks ago, Kolstad led his team onto the field for its home opener. Kolstad's survival was once in question after he was punched and then kicked in the head. Former University of Minnesota quarterback Philip Nelson and St. Peter resident Trevor Shelley have been charged with assaulting Kolstad.